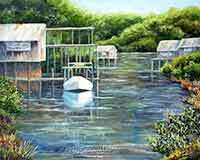 Paintings show the world thru the eyes of the artist. 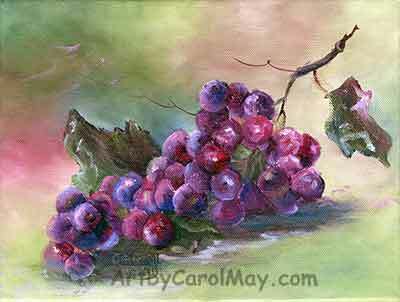 Art by Carol May is a showcase of my world. Painting is such a joy! 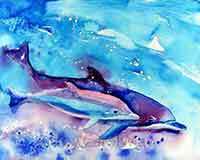 It is fulfilling to be able to share my paintings. And to share my experience with budding artists. 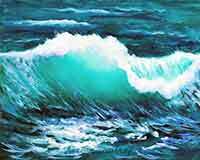 There are over a hundred paintings on this website. 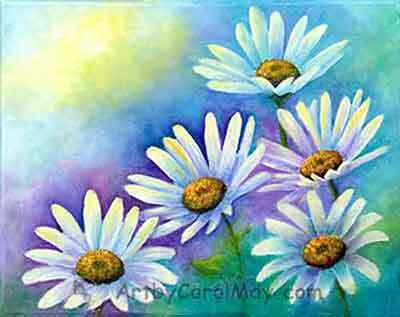 Sit back, relax and enjoy the art by Carol May. 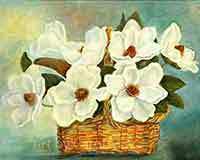 what kind of paintings do you enjoy? Hummingbirds need flowers to survive. This White-eared Hummingbird is visiting a Columbine flower. 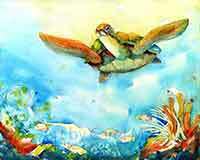 See more paintings of the hummers that visit the US. Puttering around in the flowers garden is one of my favorite hobbies. 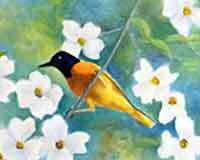 There is all the wildlife to see and the lovely fragrances to enjoy. 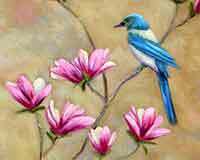 Nature provides so many awesome subjects for painting, everything from sea turtles to song birds. You might even find the mysterious Sea Dragon and other amazing wildlife. When the paintings started running out of the spare bedroom, something had to be done! 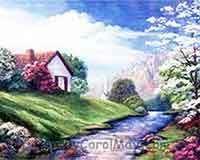 Art by Carol May was born to share the joy of painting. 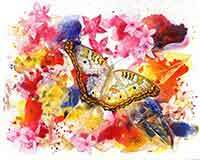 Create your own beautiful paintings! 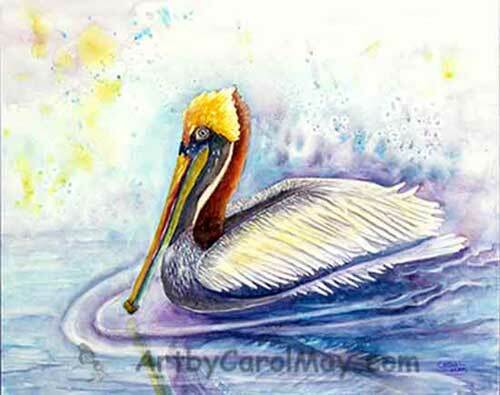 Take advantage of my years of experience and learn the basic foundations of art by Carol May. 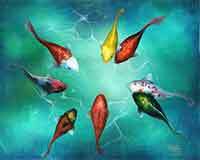 These art principles can be used with any type of media; oils, watercolor and even acrylic paintings. 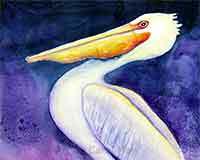 Create eye-catching paintings with what you learn about values, the focal point, composition and colors. 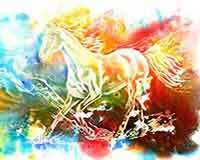 Are watercolor brushes different from oil painting brushes? What is alla prima or frisket? Answer these questions with the art lingo from the Artist's Glossary. 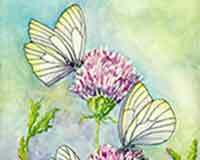 do your own beautiful paintings! 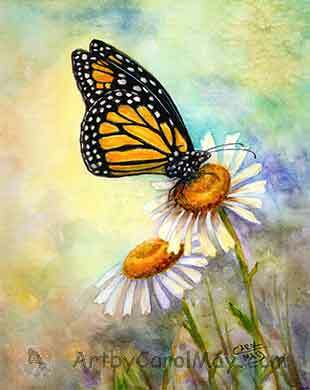 Learn what materials you need, the colors to use and the painting steps from start to finish. 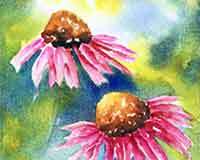 Learn how to paint three different flowers; Iris, Echinacea and poppies. Giraffes are easy to paint. 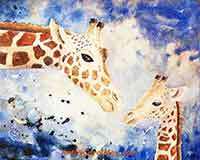 Paint three different giraffes, each with a different style. Paint a WC Ruby-throat visiting a fuchsia. 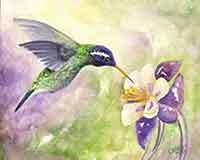 Paint a Broad-bill hummer with oils. Ruby-throated Hummingbirds are the most wide-spread hummingbird in the United States. They are found from the Rocky Mountains all the way to the east coast. What other Types of Hummingbirds are found in the United States? 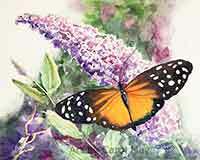 What types of butterflies do you see in your yard? 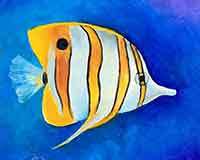 Increase your painting skills with the How-to paintings. 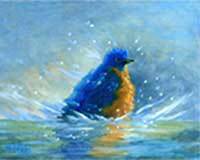 It is such a joy to share my painting secrets. 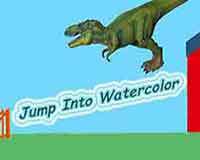 Glean from my step-by-step explanation of each painting step. You know the old saying, "Practice makes perfect." The more you paint the better you get. We are all going through this life together. 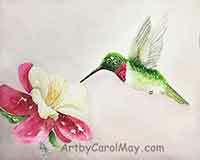 It is my pleasure to share my paintings and my knowledge, so we can all have the "Joy of Painting"
Take your time and enjoy the paintings and lessons on Art by Carol May!